Found 3 file extension associations related to System Shock 2 and 1 file format developed specifically for use with System Shock 2. 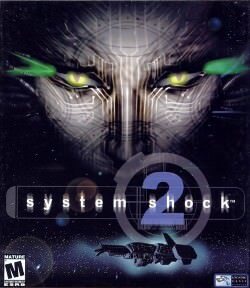 System Shock 2 is a science-fiction horror-themed PC game, designed by Ken Levine, which incorporates elements commonly seen in first-person shooters and role-playing games. The title was developed by Irrational Games and Looking Glass Studios as a direct sequel to the seminal 1994 PC game System Shock, and was released on August 11, 1999 by Electronic Arts. The game takes place on board an adrift starship in a cyberpunk vision of the year 2114. The player assumes the role of a lone soldier who tries to stem the outbreak of a genetic infection that has devastated the ship. Gameplay mainly consists of first person action and exploration, while a role-playing system allows the player to develop unique abilities and traits. If you need more information please contact the developers of System Shock 2 (Electronic Arts, Inc.), or check out their product website.